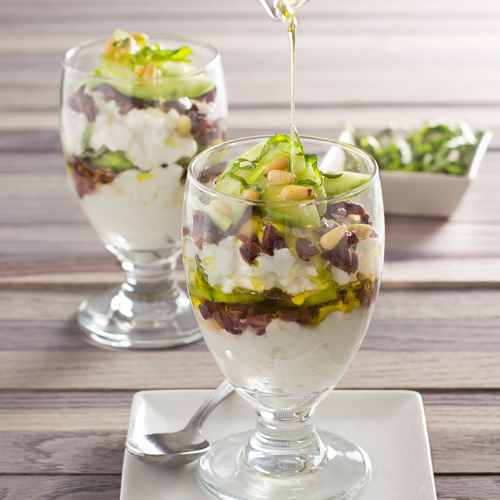 In a parfait glass, layer one quarter of the cottage cheese, cucumber, olives and pine nuts, repeating with another layer of the same (pine nuts on top). Drizzle with olive oil and sprinkle with coarse ground pepper. Repeat process for second parfait.